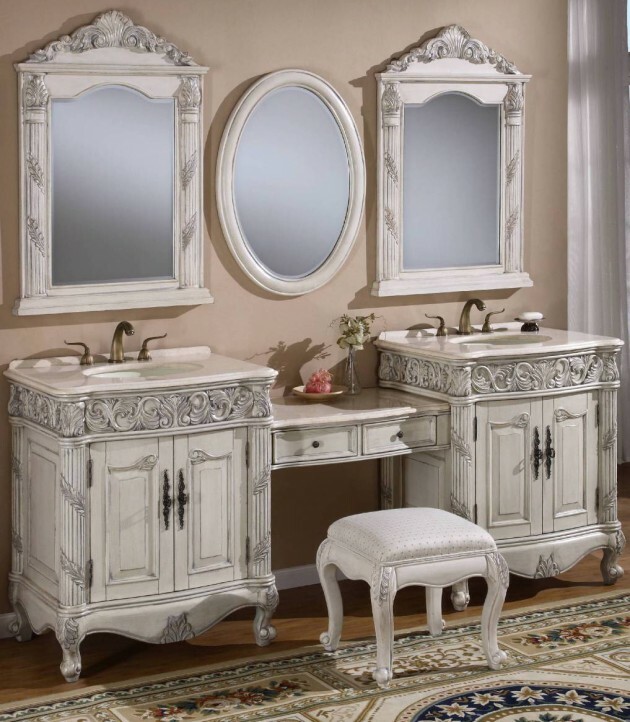 Everyone in the house has an old piece of furniture that have not yet been fully utilized or are no longer in use. 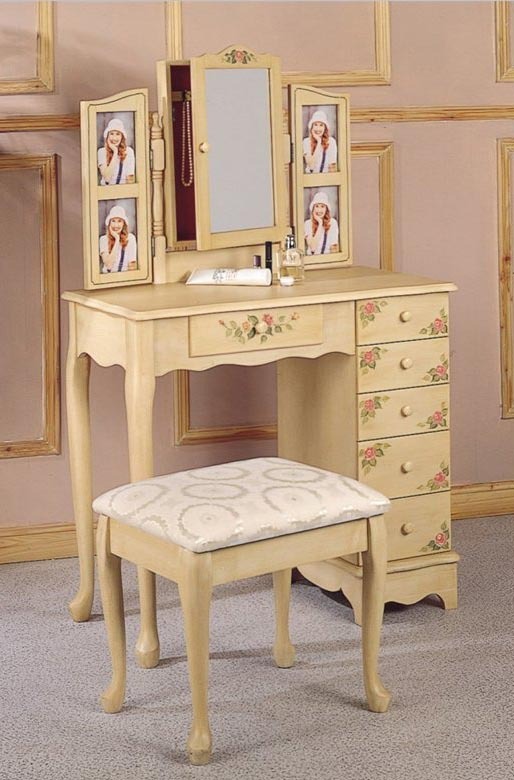 You may have inherited from your grandmother a piece of furniture that you like, and that reminds you of your childhood. 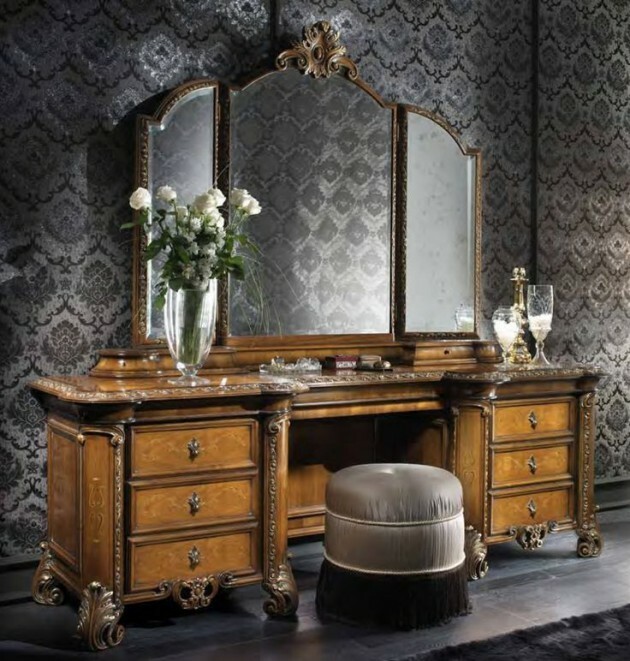 Make-up vanities certainly fall into this group of furniture, because they represent real treasure, and if you notice some traces of the time on them, they can be easily restored. 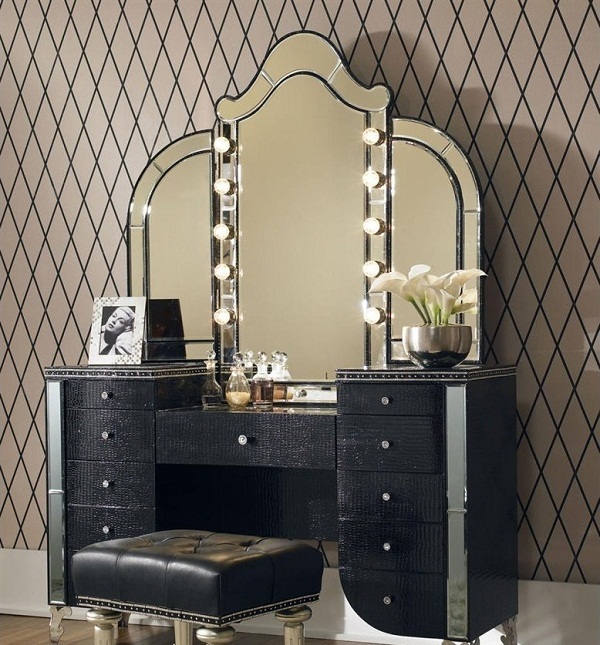 Make-up vanity today plays a major role in the life of every woman. 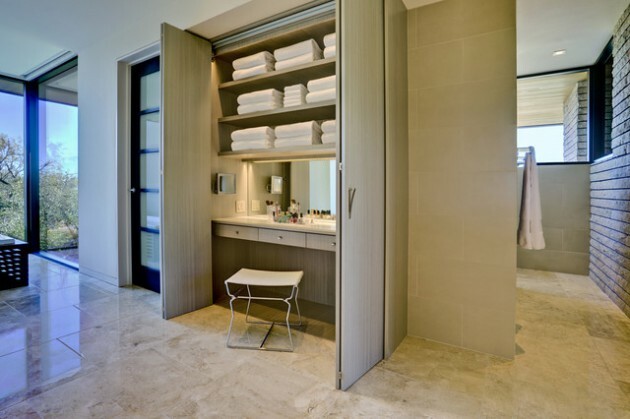 It is mainly found in the bedroom, where every woman after the shower is getting ready for work or going out. 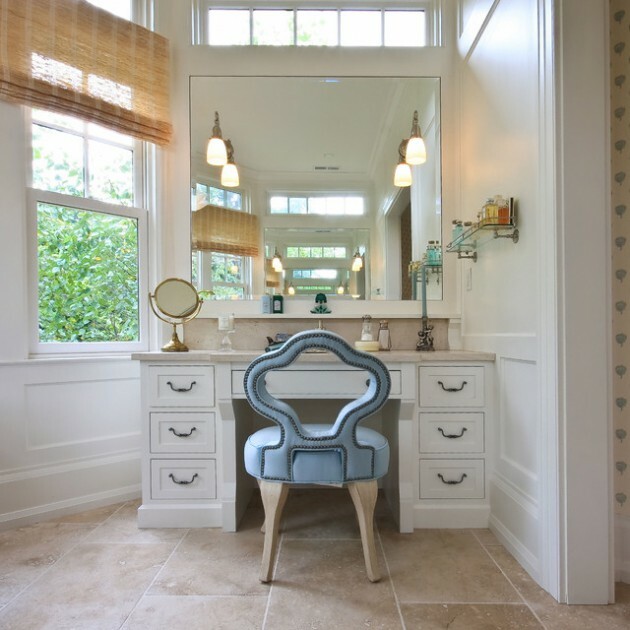 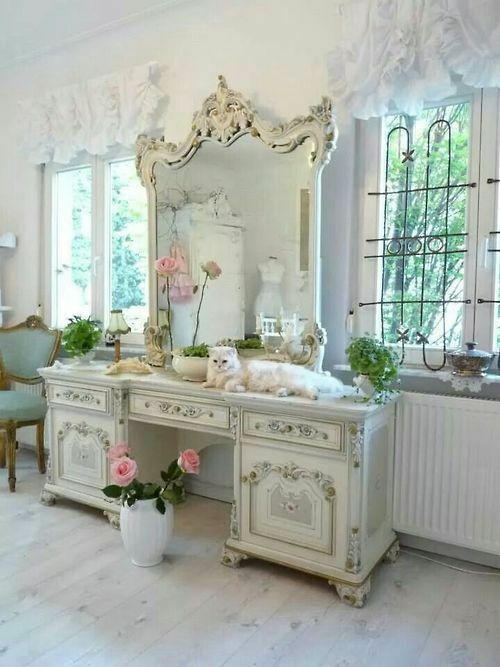 It consists of a cabinet, which has plenty of space for storing makeup and other little things for beautification, chair and of course some big mirrors. 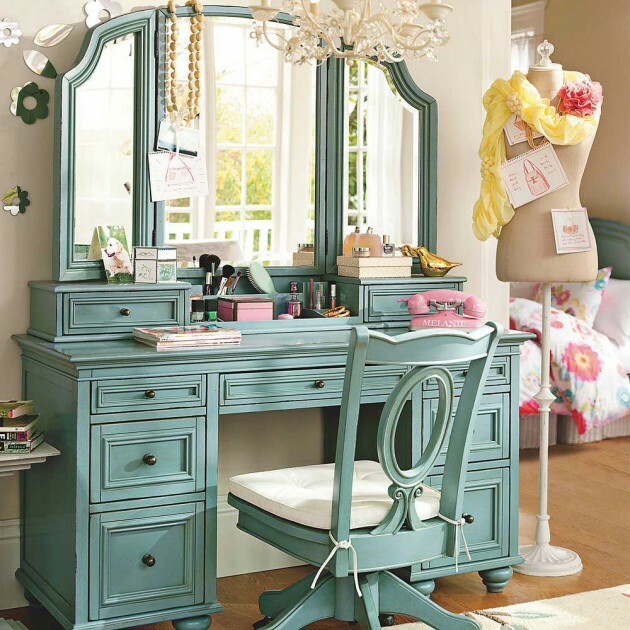 If you have an old make-up cabinet, it can be restored, so it can be painted in your favorite color, or in the color that will agree with therest of the furniture in the bedroom. 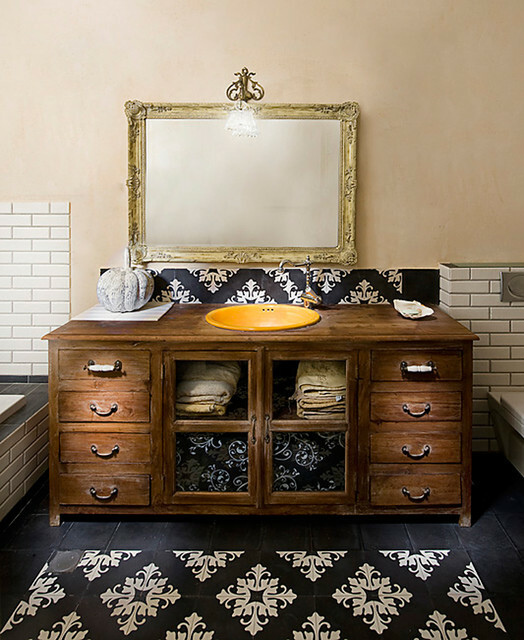 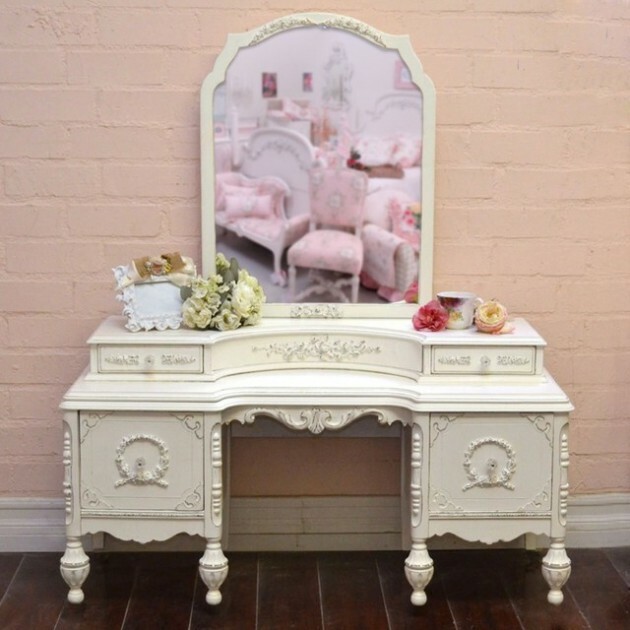 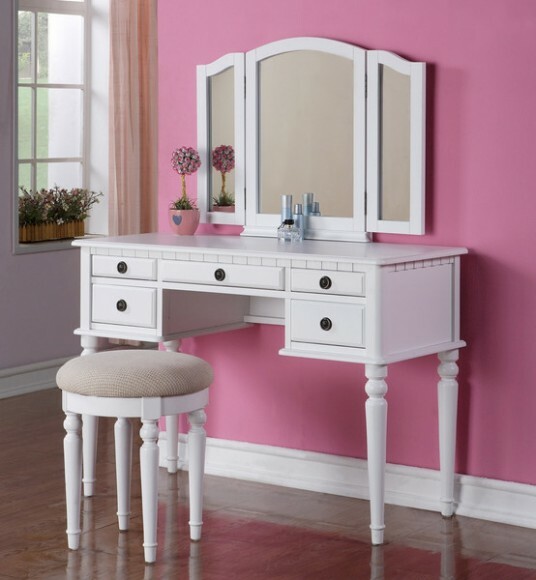 See our examples and get inspired to make beautiful and practical make-up vanity!